The jasper called Malachite is one of the most beautiful jaspers in the world. 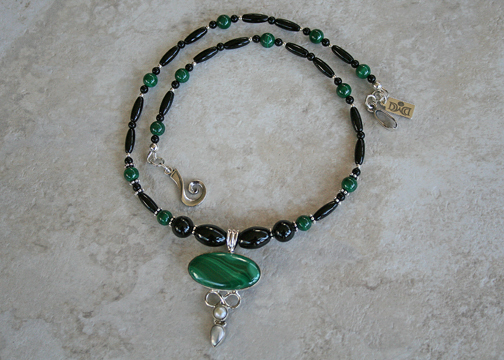 Malachite is a banded semi-precious stone with wonderful green hues. Malachite is composed of copper carbonate hydroxide. It gets its warm colors from the element copper. It has been found in Russia; Timna Valley, Israel; Zimbabwe; Broken Hill, New South Wales; Tsumeb, Namibia; England; Lyon, France; the Democratic Republic of the Congo; Zambia; Mexico; Arizona and Arkansas in the United States. There is archeological proof that malachite has been mined at Timna Valley in Israel for more than 3,000 years. Malachite has also been found as a semi-permanent pigment in Egyptian tomb paintings and European paintings in the 15th and 16th century. Malachite is very possibly the oldest green pigment known. While not a hard stone, it scores 3.5-4.0 on Moh’s hardness scale, it takes a wonderful polish. 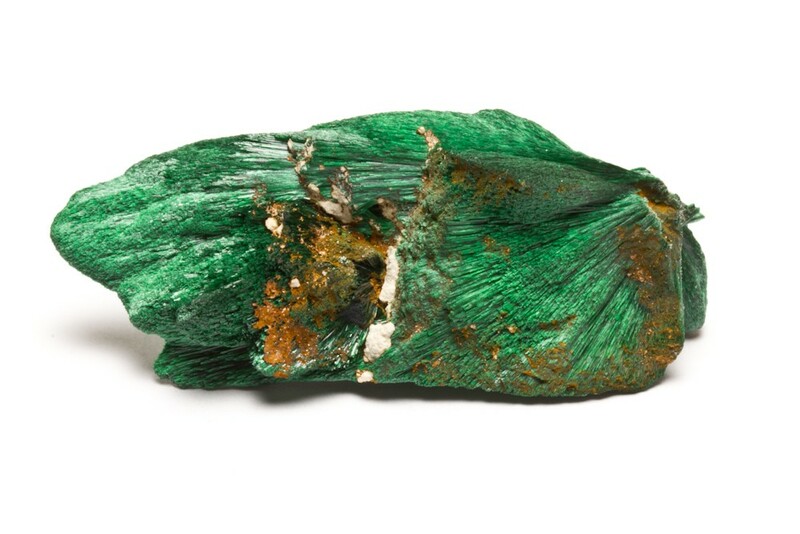 Major uses for Malachite are jewelry and ornamental stone, such as vases and sculptures, emblems, electronics, ammunition, autos, coins, and more. This entry was posted in Gemstones, Jewelry Designs, Jewelry Tips, Jewelry Tools and tagged copper, gems, gemstone, gemstones, inspiration in jewelry, jewelry, jewelry and fashion, jewelry designs, Malachite by Denise Ward. Bookmark the permalink.